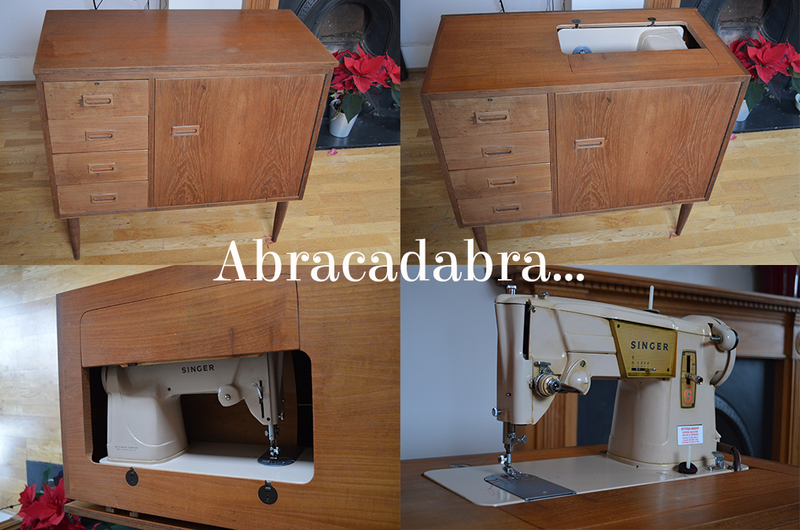 You are here: Home / Sewing Machines / A Little Retro Magic…. So this kind of happened over Christmas…. I bought a vintage Singer 317 off eBay. 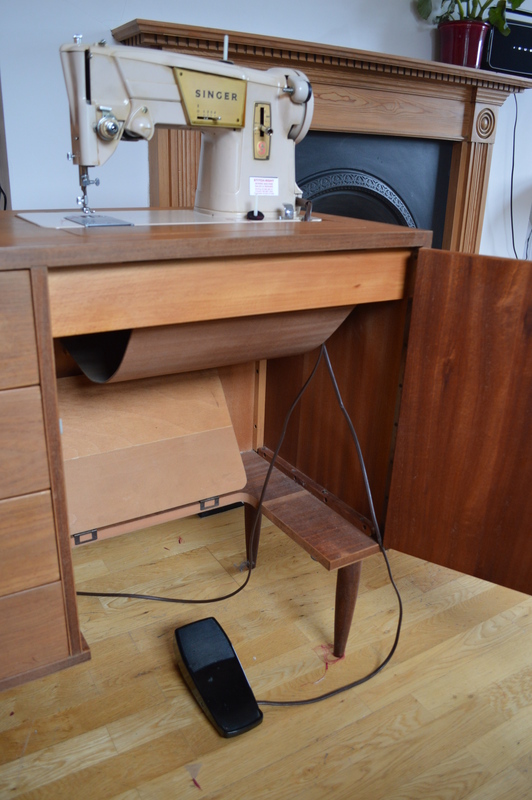 One minute I was looking for a cheap second-hand (read: portable) sewing machine that I could have at my parent’s house when I stumbled across this lovely (not portable) machine in a beautiful mid-century cabinet that matches my furniture at home. Enter one very kind friend of mine who was willing to use her 4 by 4 to good use and venture into the flood plains of Surrey with me in return for dinner and cinema. It was lovely to be able to say to her that her machine would be going to another sewer’s home and that it would be well cared for. I just love the cabinet and the machine works perfectly. I’ve even finished a couple of things on it already…. I am so happy with my eBay win. Congratulations on your new Singer, and looking forward to seeing your makes with this machine! What a wonderful find. The history that goes with it is work more than the disposable machines we see. I hope some day when I no longer sew, my machines can be passed along to someone who will cherish it and the memories.